The National reported that “An international body that will support the integration and protection of Muslims who are minorities in the countries they live in was officially launched this week. The group, the World Council of Muslim Communities, was formed following a two-day conference held in Abu Dhabi that was attended by representatives from more than 140 countries. More than 550 political, scientific and religious community leaders met at the International Muslim Minorities Congress to discuss a number of topics affecting Muslims worldwide including ways to prevent radicalization among an estimated 500 million Muslims who live in countries as minorities. The main aim of the conference, which was convened over by the Muslim Council of Elders, was to encourage the integration of Muslims in non-Muslim countries and discuss challenges around issues of Islamophobia and extremism. The conference also saw the adoption of the Global Charter of Muslims Communities, which calls on the UN to put in place a binding international agreement to protect minorities’ rights and their fundamental freedoms as religious, ethnic and linguistic groups, prevent all forms of racial and religious hatred and discrimination, prevent abuse of other people and religions, and to condemn all kinds of crimes of ethnic or religious cleansing. Muslims community leaders said Muslims should respect the laws of their host country while maintaining their values and encouraging multiculturalism. The World Council of Muslim Communities will support the charter and coordinate the efforts of local institutions that represent minority Muslims to help correct the stereotypical image of Islam and reduce the cultural gap between members of society. 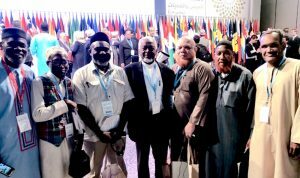 Suleiman Bulbulia representing the Barbados Muslim Community reported that “a record 21 countries of the Caribbean including several CARICOM member countries were represented at the recent 1 st International Muslim Communities Congress in Abu Dhabi. 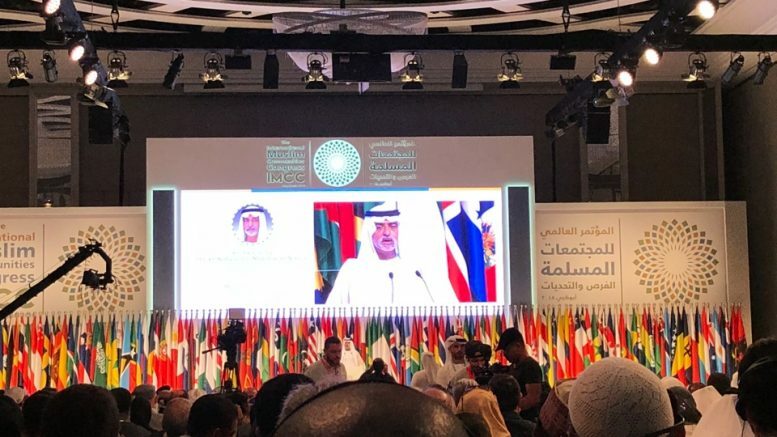 Held over two days, May 8th and 9th the Congress was convened by the World Council of Muslim Minorities based in Abu Dhabi, United Arab Emirates. Dr. Ali Rashid Al Nuaimi, Secretary General of the Muslim Council of Elders also based in Abu Dhabi announced weeks prior to the Congress that the World Council of Muslim Minorities will be based in Abu Dhabi and seek to promote civil and political rights of Muslim minorities as an inherent human right. 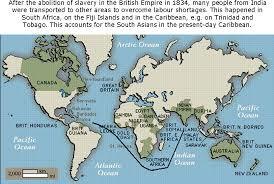 It is an international organization addressing challenges faced by Muslim minorities across the world. The International Conference on Muslim Minorities: Opportunities and Challenges will also explore ways for them to fulfill their role as both good Muslims and good citizens and encourage positive contribution to the society. 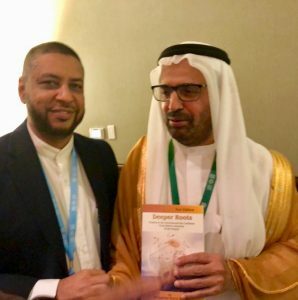 Al Nuaimi, who is also the Chairman of the Supreme Committee for the World Conference of Muslim Minorities, said the World Council of Muslim Minorities was proclaimed on requests from leaders and institutions representing Muslim minorities across the world. He stressed the need to launch a pioneering global initiative to promote the concept of citizenship and its values among Muslim minorities as a key component in the development of their countries by working to correct the stereotypical image of Islam and Muslims. In accordance with the universal content of the rights of religious and ethnic minorities, thus guaranteeing the right of societies to cultural and religious pluralism. In the opening session of the Congress which saw over 100 countries from across the world participating Sheikh Nahyan bin Mubarak Al Nahyan, Minister of Tolerance in the U.A.E commended the initiative of establishing the World Council of Muslim Communities in Abu Dhabi, a move which, he said, establishes Abu Dhabi as the world’s capital city for peace and tolerance. “All human societies are now characterized with diversity and cultural pluralism” he added, noting that addressing social and cultural diversity and pluralism has become one of the key challenges of this age. Successful societies are those where peace, security, stability, and loyalty to homeland prevail, he said, expressing hope that the World Council of Muslim Communities would conduct the necessary research needed to overcome the challenges faced by Muslim communities in different parts of the world, including poverty, literacy, and oppression. Caribbean Muslim representatives were drawn from several different islands and countries including French, Dutch and the English speaking Caribbean participated by taking in the presentations of several speakers over the two days. Topics included: “Presence of Islam in non-Islamic countries in a global context: Opportunities and Challenges”, “From Necessity to Citizenship: Basic steps to establish acquaintance” and “Rise of Radicalism and Islamophobia”. Suleiman presenting a copy of Dr. Abdullah Hakim Quick’s book ‘Deeper Roots’ to Dr. Al Nuaimi. The Caribbean and Latin American delegates met briefly on the sidelines of the Congress on the invitation of the Secretary-General of the Organization for Islam in Latin America and the Caribbean, Muhammad Yusuf Hallar, to discuss plans for closer cooperation and an upcoming Congress in Latin America. In a special meeting with Dr. Ali Rashid Al Nuaimi, selected representatives of countries of North America, Latin America and the Caribbean discussed several areas of cooperation with the World Council of Muslim Minorities. It was noted that Caribbean nations, among the most beautiful places on earth, had Muslim communities dating back centuries. A copy of Dr. Abdullah Hakim Quick’s book ‘Deeper Roots’ was presented to Dr. Al Nuaimi. Report contributed by Suleiman Bulbulia with abstract taken from The National.